How you cut your tubes will determine how much work you have to do to clean them up. 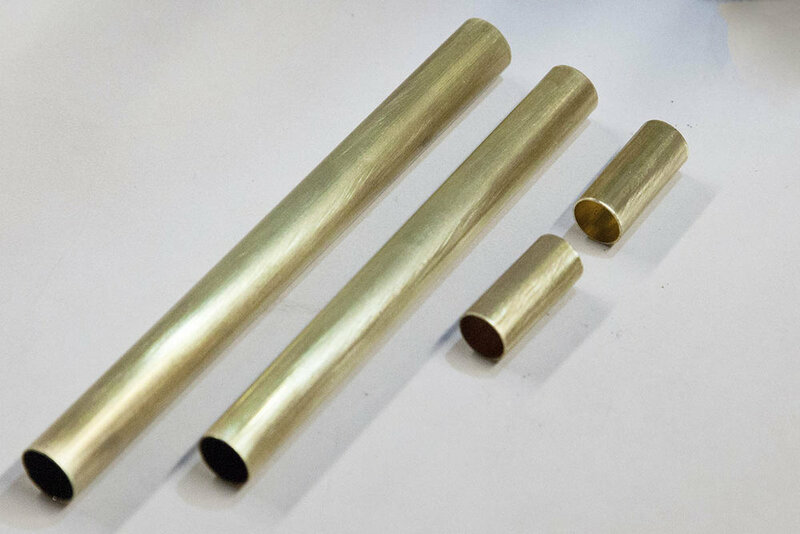 Lets take a look at some of the tools available to cut brass tubes. This make short work at cutting brass tubes. But they do have some negatives for our application. First, it can be difficult to get an accurate cut. Another problem with these cutters is that they will pinch (inward flare) the tube inward ever so slightly. While this pinch can be removed, it does result in more work. Note that I will be using one of these when I build the CNC Short Pen. This is because I actually want the little flare this makes on the tube. Hand saws are probably the cheapest way to cut brass tubing. The best way to use a hand saw to cut tubing is to make a jig that holds the tube and keeps the saw blade perpendicular to the tube as you cut. These are pefectly fine if you are only cutting a couple tubes. Most of you have some sort of rotary tool. 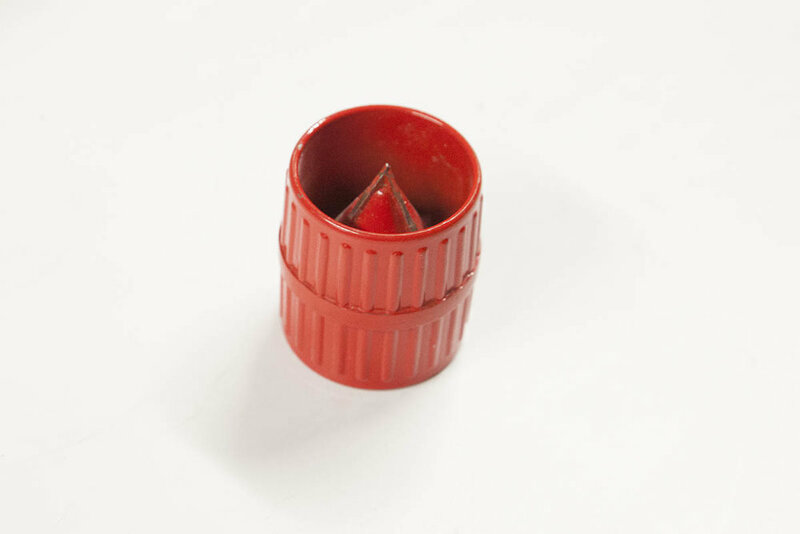 These can make short work at cutting a brass tube. Cuts made with hand held rotary tool are not as strait and tend to need more cleanup. Note that you can also use the rotary to to help clean up your cuts. I have used the IBS/E as a spindle on my KReduCNC build. There are several of these little desk-top cutoff saws. 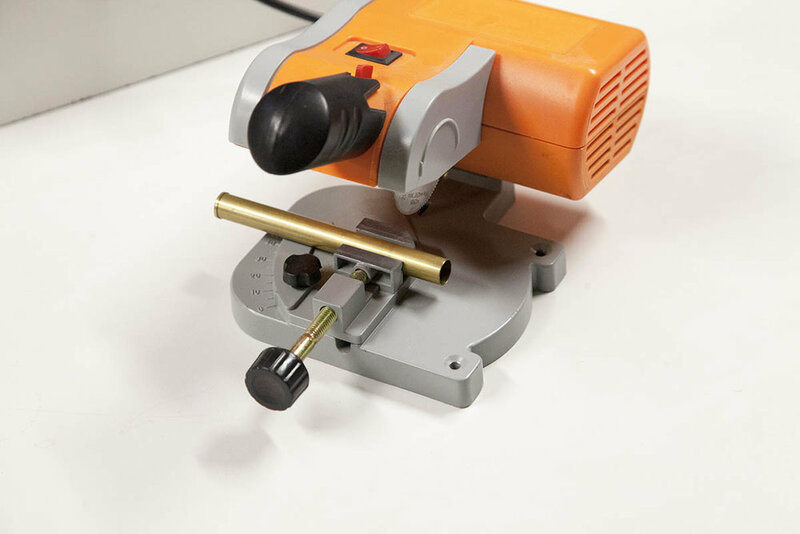 But it can be a little tricky to hold a 1/2" piece of tube in the tiny vise that is provided. My goto saw for cutting tubing is the Proxxon KGS 80 Miter saw. This saw has an 80mm carbide tip blade that will cut through brass like butter. It has a more powerful motor and the vise is a dream to use. The KGS 80 comes with its own adjustable length stop, but I built my own stop system using an Incra Jig. A little video of the KGS 80 cutting a 1/2" brass tube. 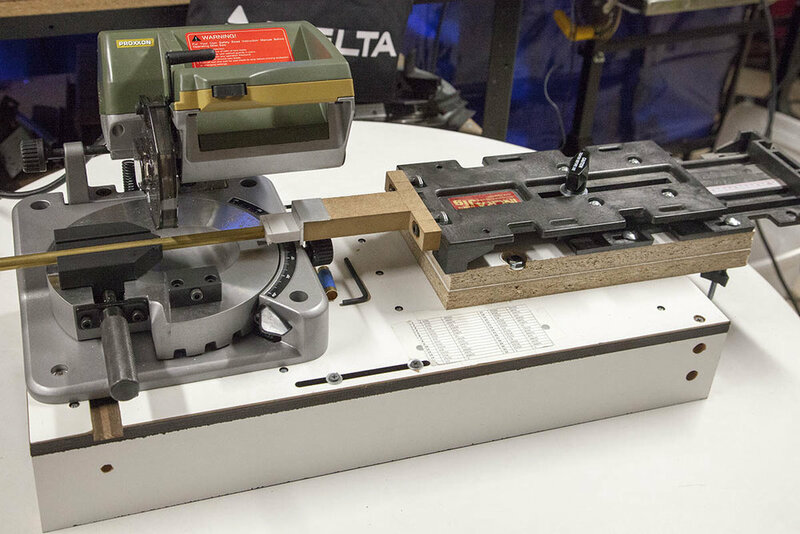 If you are going to be cutting alot of tubing and/or aluminum, you might want to consider this saw. What ever method you use to cut your tubes, you will need to deburr them. 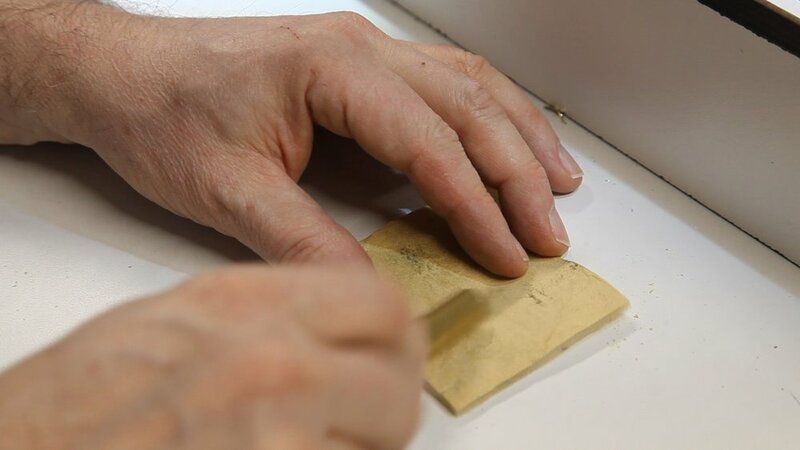 Here I am using some 220 grit sand paper to remove the burr from the out side of the cut edges. 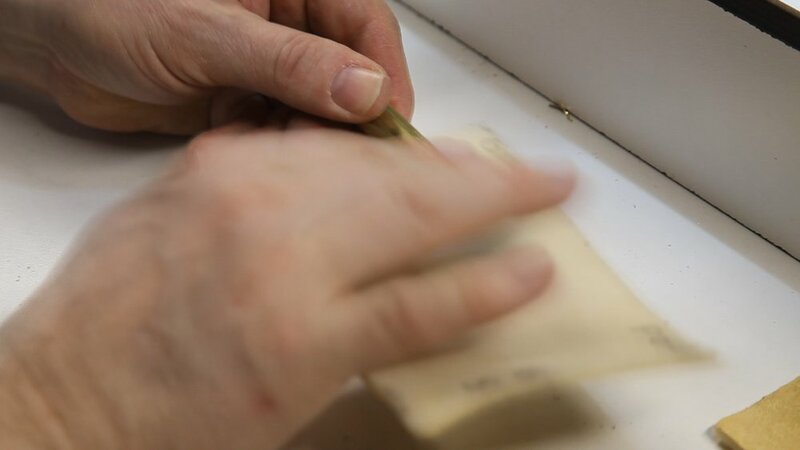 I then roll up a piece of 220 grit sand paper and hit the inside edge of the cuts. I want to give the outside of the tubes a somewhat polished surface so I lightly sand with 600 grit sand paper. I also keep one of these deburring tools handing. While they don't work as well as sand paper, they can help. A little video showing my process.